I have said before that I love World Market and that love continues. They really have the neatest things there and incredible specialty food items. I was browsing there the other day to see if I could find any Christmas presents. One thing I did find were these fantastic Christmas Pretzels. Of course they were not covered in white chocolate and sprinkles, as that was my doing, but they are in adorable shapes. 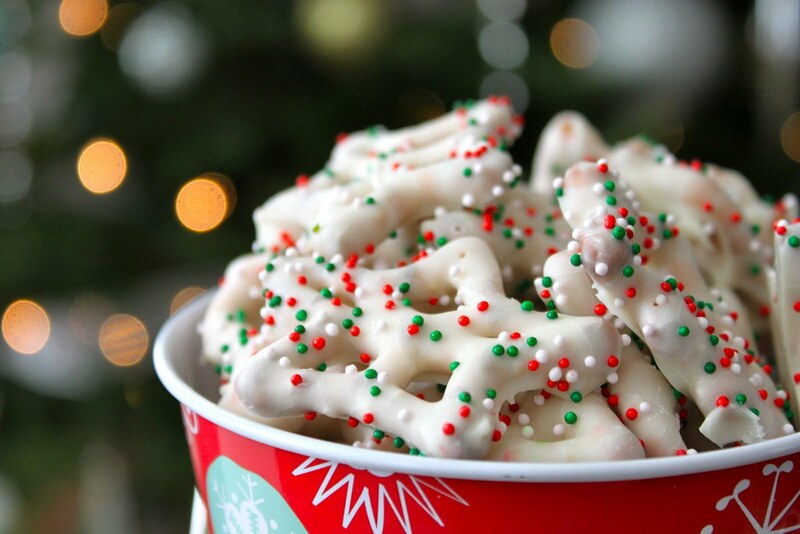 The pretzels are packaged in a large barrel and are shaped as stars, bells, and trees. I did notice there were fewer stars than the other two shapes, but other than that no complaints. I knew they would be perfect for Christmas Pretzels. 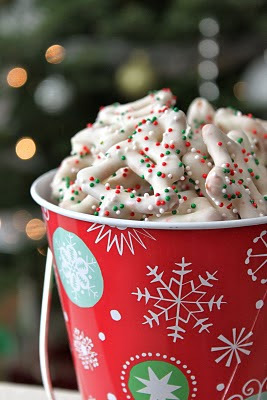 Here is the link to my last post on how to make these: White Chocolate Covered Pretzels.